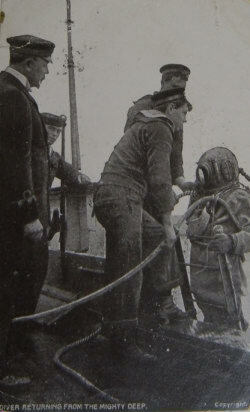 Description Diver returning from the mighty deep. The Star series. fair cond, 3mm closed tear top left edge, crease bottom left cnr. postaly used.